Experience a horse's speed through GoPro. Most horse riders enjoy a good gallop! There’s nothing quite like the wind in your hair. Have you ever wondered how fast your horse is actually traveling? It’s no surprise that they can achieve some very high speeds! Much like human runners, every horse is a unique individual. Some are more athletic than others! 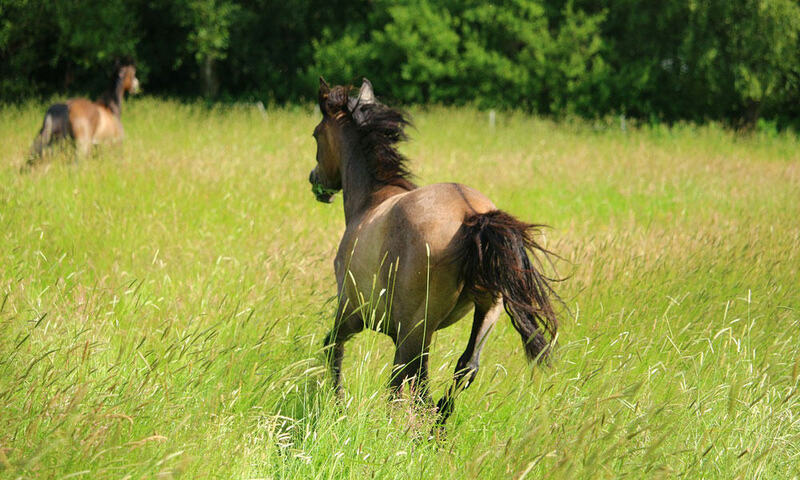 However, the average horse can run 25 to 30 mph (40 to 48 kilometers per hour). An American Quarter Horse can gallop up to 50 mph in a short distance race, while a Thoroughbred can get up to approximately 40 to 45 mph. Bloodlines and conformation are an important factor in regards to speed. What does it feel like to gallop as fast as a racehorse? Check it out! Fascinating, right? Learn more cool facts about horses in my article The Truth About How Long Horses Live.